During their Spartan careers, players are offered Specializations through a variety of channels, allowing them to enlist in specific rank paths that come with armor sets, armor mods, emblems, and a variety of other components. Once a player has advanced through the standard fifty (50) rank levels allotted to Spartans, they will have access to a selection of Specializations. These paths are composed of ten rank levels each, which the player, once opting for the Specialization, must complete in order to improve their rank and before being allowed to enlist in a separate Specialization. Spartan optimization for stealth operations which focus on the elimination of an enemy target with the goal of leaving no tactical footprint behind. The Stealth armor mod allows users to move quickly and silently in combat, executing enemy assassinations with lightning fast dexterity. Spartan optimization for deployment into uncharted, hostile territory, such as uncolonized worlds or Forerunner constructs like Requiem, for the purpose of gathering and relaying information. The Fast Track armor mod allows Spartans to gain more experiential data from each encounter, effectively ranking up quicker during the process. This Specialization will be available at launch. Spartan optimization for the subversion, repair, and or reconstitution of a wide range of technology, including Covenant and Forerunner complex networks. The Drop Recon armor mod allows users to predict the location and time of an ordnance drop through an external suborbital monitoring system. Spartan optimization for long-range target tracking (trans-continent and off-world), particularly in scenarios where conventional tracking has failed or such a substantial time has passed that the trail has gone cold. The Requisition armor mod allows users the ability to recall their own ordnance requests in order to acquire more helpful weapons in the field. Spartan optimization for single-operative missions which require a lone Spartan to be deployed on their own for incredibly long durations of time, even years if required. The Stability armor mod allows users to increase their aiming stability when being fired upon. Spartan optimization for target shadowing missions which require tactical invisibility despite operating at an extremely close range to the target itself. The Nemesis armor mod allows users to target and track down previous attacking enemies, highlighting them on the armor’s passive sensors. Spartan optimization for deep, unconventional deployment within unknown enemy territory and with little to no assistance from command. 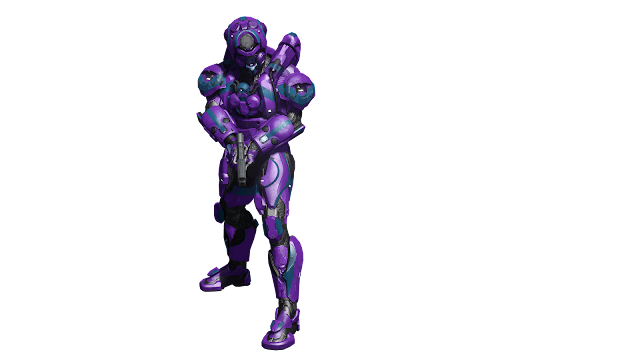 The Gunner armor mod decreases the time of weapon overheat when occupying a vehicle weapon position and increases Spartan speed while carrying a detached turret. Spartan optimization for the operation and control of a wide range of vehicles: space, air, ground, and sea. of vehicles they are piloting.